A global leader in the provision of knowledge management solutions is looking to hire a Systems Support Engineer to join their team. Reporting to the ITS Manager, the Systems Support Engineer will be responsible for providing global support to the operations across the Americas, Asia-Pacific and EMEA regions. This role will suit someone with strong technical support experience, looking to develop their career within an award-winning global company. To apply for the Systems Support Engineer role, send your CV to colleen.quigley(a)solasit.ie or call Colleen on 01 536 7381 for more info. 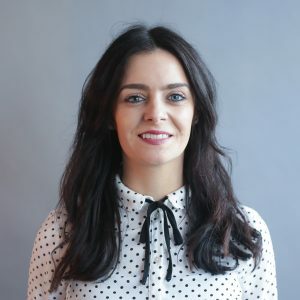 Colleen is one of the newest editions to Solas and brings a personable and extroverted approach to her role as an IT consultant which is complemented by her third level BSC Honours degree educational background. Colleen has a vast range of experience in her career to date, most notably within the hospitality, food & nutrition and particularly the recruitment industry, where she has previously worked for Hays recruitment in Perth Australia. Colleen is an extremely organised, competitive, individual with a passion for ensuring that each of her individual clients and candidate pre-requisites are dealt with in an efficient and satisfactory manner. Colleen likes to spend her spare time keeping fit and spending quality time with her family.